Listeners living outside the London Borough of Enfield are welcome to listen to our weekly broadcast on Youtube, Soundcloud or via our website or Sonata internet radio. Please also visit the Talking Newspaper Federation who can put you in touch with a Talking Newspaper near you. 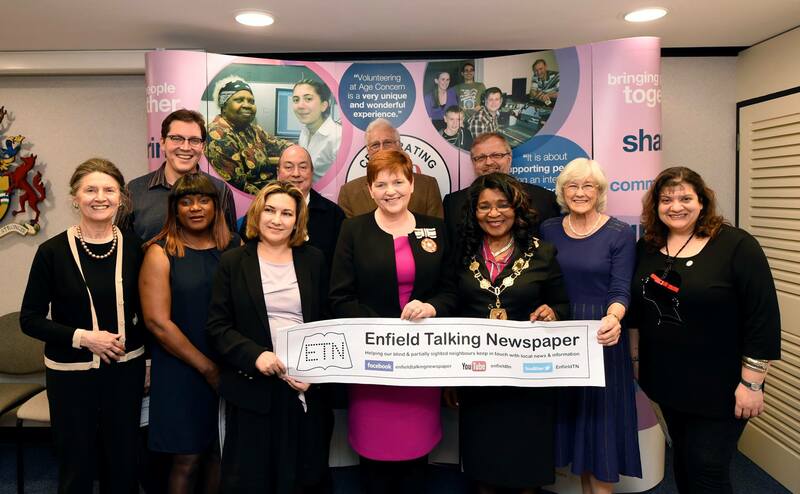 Enfield Talking Newspaper is a registered charity (number 270935). The Management Committee is elected annually at our Annual General Meeting. Members of the Management Committee are Trustees of the charity. Keith de Jersey, Ian Bishop Laggett, Peter Edwards & Roz Lishak.